At first glance, Frs. Patrick McGuire and Francis Akano make an odd pairing. Tall and ruddy, Fr. McGuire is a Scotland native, a son of Barrhead, an old industrial town just outside Glasgow. Fr. Akano, smiling and thoughtful, comes from Imo State, a southern Nigeria province. 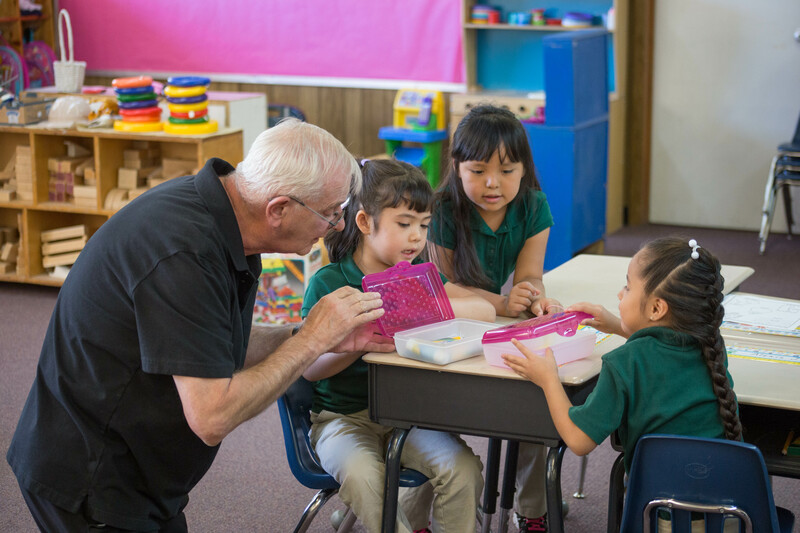 Together, they live in the rectory at Zuni and administer to four parishes in the Diocese of Gallup, and oversee administration locally at St. Anthony Catholic School. These two priests, thousands of miles from their respective homes, share Nigeria as their common bond. Fr. McGuire is a priest of the Society of African Mission (SMA Fathers), a missionary group which has overseen churches and schools in Africa for over one hundred years. Now retired as the order’s provincial superior, he loves the desert climate and landscapes of New Mexico. Fr. 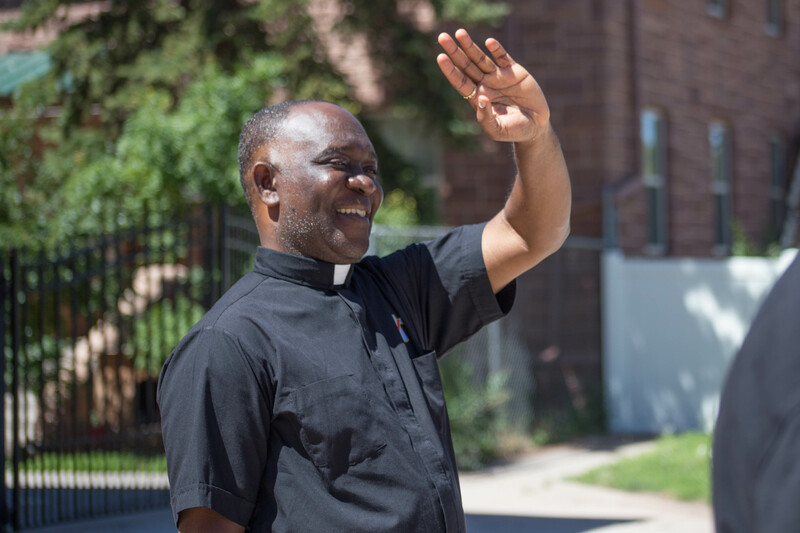 Akano was born and raised in Isu, a city in southern Nigeria, and his country enjoys such a surplus of priests that African bishops regularly lend their services to dioceses across the United States. Before our interview officially begins, with the three of us seated around the rectory’s dining room table, Fr. McGuire brews coffee and offers me a tin of cookies – “biscuits”, he calls them. Fr. Akano prefers soda, and is happily surprised that Fr. McGuire stores their supply at room temperature. They share a light ribbing of United States culture: “Americans like too much ice in everything,” Fr. McGuire says. Fr. Francis Akano waves to students at St. Anthony School in Zuni, NM. Despite the differences, they’re happy to be here. Fr. McGuire had already been in the Diocese of Gallup for several years when he was assigned as the pastor at Zuni. Fr. Akano is newly-transferred from the Diocese of Baker in Oregon, and keenly recalls his first impression of the United States. But he now finds himself in a diocese not dissimilar to his home country. No surprise there for Fr. McGuire – he too finds that his many years in Nigeria prepared him for pastoral life in Zuni. Fr. McGuire converses with “Grandma K”, who volunteers at the school, helping kids with homework. “Some of them need a grandma,” she says. When I ask Fr. Akano about the traditional cultures from his home, he grows reflective – almost wistful. Nigeria is divided more or less equally along religious lines – the population is roughly half Christian and half Muslim. Few people, he says, retain their old beliefs. Sometimes this is due to ostracization, which comes after families radically adopt a new faith and completely shun traditional rituals. Persecution, too, can play a part. Boko Haram, the notoriously radical Islamic terror group, is headquartered in northeast Nigeria. Massacres, bombings and conflict caused the government to declare a state of emergency in 2012, and at least one Catholic Diocese has reported mass killings and takeovers of churches. In some historical cases, similar to the American Southwest, colonization contributed to the erosion of local languages and culture. But unlike some Native American communities, who have managed to preserve their traditions, Nigerians have left much of their original religious culture behind. Fr. McGuire listens to this reflection, and then tells the story of St. Augustine of Canterbury, who in 595 was sent by Pope Gregory the Great to colonize the Anglo-Saxons, Fr. McGuire’s own ancestors. Augustine’s main goal was the conversion of the king of Kent, Aethelberht, a pagan, whose wife was already Christian. The two priests follow up our interview with a tour of St. Anthony School. It’s the first week back for the students, but aleady Fr. McGuire seems to know each of them by name. He introduces me to various members of the staff with a easy familiarity. The very second he opens the door to the kindergarten classroom, a loud chorus of little voices call out “Good morning, Fr. Pat!” (Reportedly, some of the students refer to him among themselves as “Fr. Braveheart” due to his strong Scottish accent) He begins to ask the teacher what they are working on, but quickly becomes distracted when several girls sharing a group of desks proudly begin to show him their new school supplies. Fr. Akano has never before been assigned to a school, and he hangs back, quietly smiling, watching and learning from the interaction. Students show off their new school supplies to Fr. McGuire. 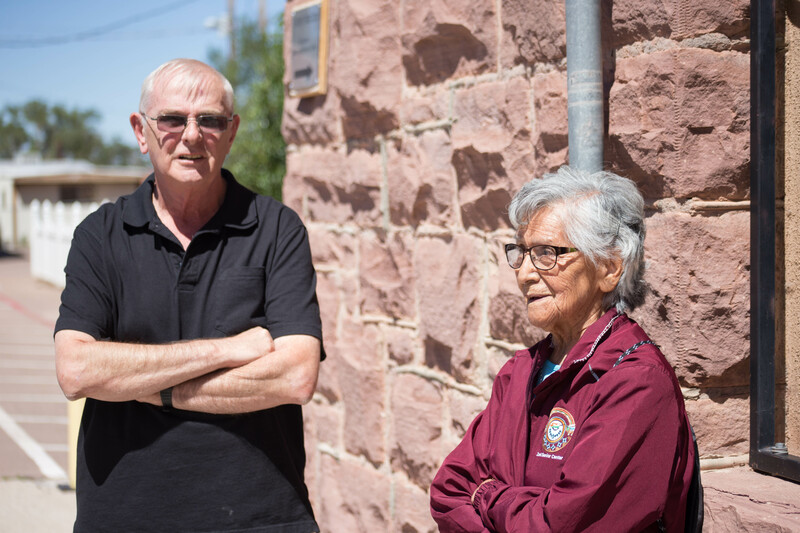 Here in Zuni, the close-knit manner of students, teachers and parents is something familiar to Fr. McGuire after years of African ministry. He brings it up immediately when I ask him what he likes most about the Zuni people. We take a look at the basketball court, a hugely popular spot for all the students. One teacher, who stands observing her students play, is soon begged to join with the kids in a pickup game. Who could resist? Fr. Akano lights up at the mention of sporting activities. He enjoys playing ping pong, but his great love is soccer – another pastime he has in common with Fr. McGuire. I ask about his favorite team, not knowing the local groups in Nigeria. He shrugs. “I’m not so passionate about following a particular team now, but I love it,” he says. Fr. McGuire suddenly interjects. “Even officially in Nigeria, the religions are 49% Christian, 49% Muslim, and 110% soccer,” Fr. McGuire jokes. The school’s dog relaxes in the shade. Formerly a stray, the two priests adopted her and she now spends her days receiving affection from students and teachers. The two priests make a good team. In a place so like home, and yet so far from family, their common interests and history of service are a source of strength and familiarity. Fr. Akano says he misses his family every day, but calling home helps. Fr. 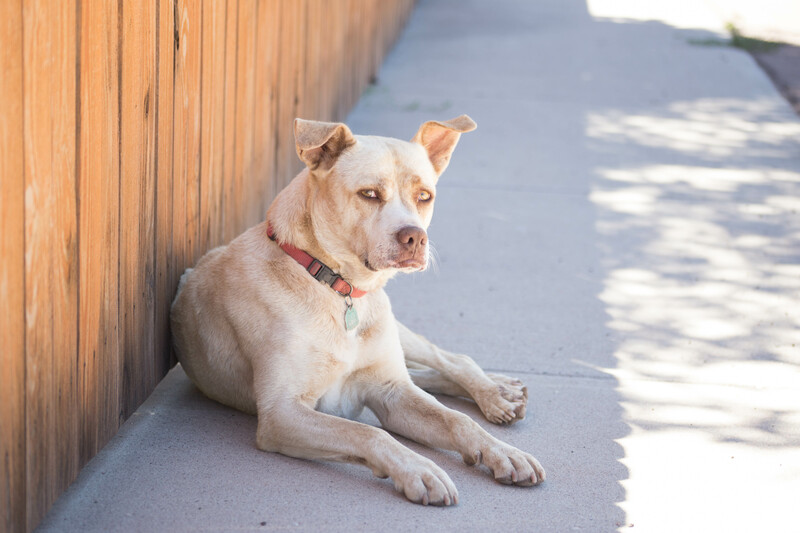 McGuire thinks of New Mexico as his home, but if he ever needs some time to himself, when his work is done for the day, he loves to ride his motorcycle – a Harley Sportster. “I had to get a Harley because it’s part of the culture,” he jokes. But when it comes right down to it, what gets each priest out of bed each day is their calling from God to serve the people of Zuni.